We have been blending and molding custom chocolates for over 30 years. 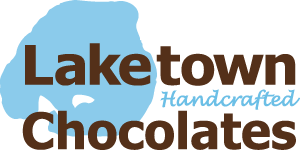 We proudly offer quality, delicious artisan chocolates made right here in the midwest. We use a 150 year old European recipe and custom blend our chocolate. We offer Milk Chocolate (34%), Dark Chocolate (50% and 72%), Dark Mint and White Chocolate. In addition to our large selection of homemade specialty chocolates and custom molded chocolates we also have over 2000 stock chocolate shapes available to you with no custom mold charges. We hand pour, dip, wrap and package for exceptional appearance. Our homemade specialty items are made in house in our chocolate kitchen. All of our chocolates are made to order fresh to ensure superior taste and quality. We guarantee that each and every order will exceed your expectations. We don't just do chocolate. We offer gift sets and baskets, snack mixes, coffee and cocoa, hard candy, novelty chocolates and much more. Custom basket design and product development is available. Call us today to discuss your custom project. 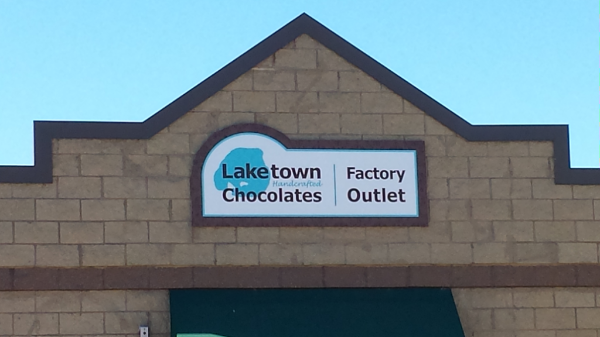 All Laketown Chocolates samples are made to order to ensure freshness. Therefore, we charge for samples, shipping and heat protection (when the temperature requires it). Call the factory at 952-442-1102 to discuss your sample requirements. We care about each and every customer and strive to provide excellent service, quality and creative solutions for your unique needs. We appreciate your comments and feedback.